This framed "In Memoriam" was salvaged from the Schiff home when it was closed in the early 1980's along with the marble bust of Sir Ernest Schiff. M.N .Schiff was Martin Noel Schiff, son of Charles,who fell at Ypres. F.E .Storrs is Francis Storrs who died in the influenza epidemic at the end of the war leaving his wife, Catherine, pregnant with her younger son Basil. Macarthur was the name of Sir Ernest's executor and business partner(? ), his son perhaps. A.S.B. Schiff was Alfred Sydney Borlase Schiff, son of Ernest Wilton Schiff. 1.Martin Noel SCHIFF, 2nd Lieutenant, 1st Battalion Scots Guards. Died Belgium, 17 June, 1916. Memorial on the Menin Gate at Ypres. 2. 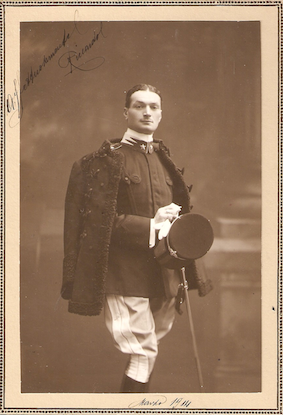 Riccardo FINZI, Tenente, 24th Vicenza Light Cavalry. Maternal uncle to my grandfather, Giulio Cesare Schiff. 3. Alfred Sydney Borlase SCHIFF, 2nd Lieutenant, 1st Battalion, Rifle Brigade. Died Belgium, 9 April, 1917. 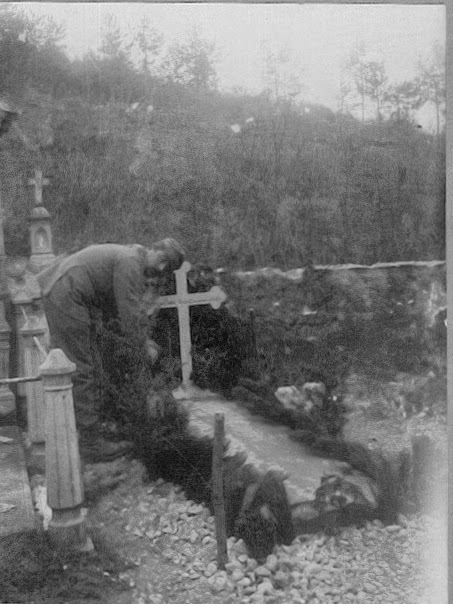 Buried at Brown's Copse Cemetery, Roeux. Third cousin to my grandfather, Giulio Cesare Schiff. Lieutenant, Rifle BrigadeBorn: November 27th 1897Died: April 9th 1917Age at Death: 19Killed in action, France, April 9th 1917R.M.C. 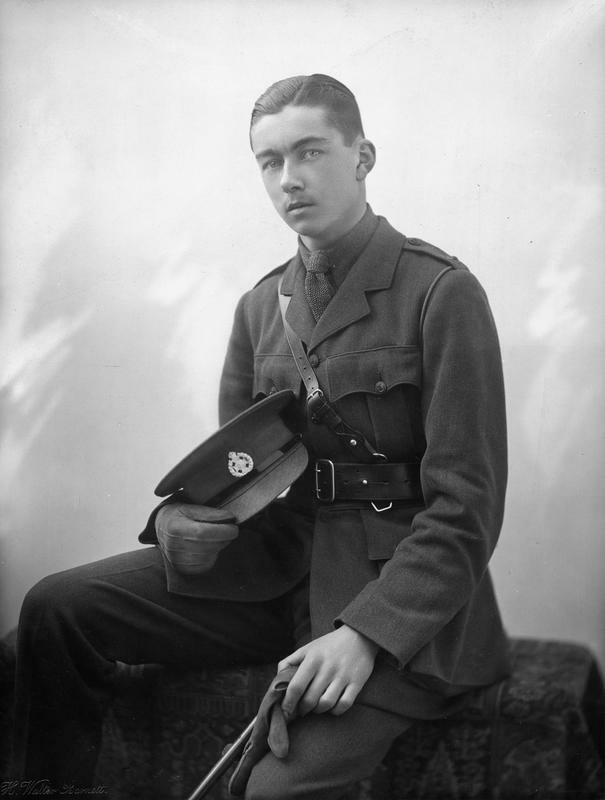 Sandhurst Rifle Brigade (Second Lieutenant 1916)Son of Ernest Wilton Schiff.A DONATION TO THE MEMORIAL STATUE HAS BEEN MADE IN HONOUR OF THIS SOLDIER BY A FELLOW OLD BRIGHTONIAN AND 2015 LEAVER.Obituary Brightonian XV April, 1917Schiff entered the School House in May, 1912. He distinguished himself as a cricketer at the College, getting his Junior XI. colours in 1912, Second XI. in 1914, and First XI. in 1915. The following extract from a letter of a senior officer will interest all O.B. 's who knew him:- "It will bea great comfort to know what a splendidly gallant end his was. Our objective on Monday was - Redoubt, some 6,000 yards behind the German lines. We had been practising for the attack ever since he joined us, and he was keener than any one. We soon knew the order of battle and my Company was leading. We attacked on a two platoon front - his platoon was on the right and directed the whole battalion in the attack. Ours was the furthermost objective on the first day. We had seen aeroplane photos of the Redoubt. There was a trench leading east away from the Redoubt towards the Germans. We were always talking about the attack of course, discussing what to do and all about it. Your son's job was to go straight across the Redoubt, consolidate strong points on the other side and put up a barricade in this trench. He was always talking about this barricade, and what a jolly good one he was going to make. The right hand corner of this triangular Redoubt was called 'Schiff's Corner', this being the corner which would probably be reached first and which his platoon would go over. He had the map reference on the back of his identity disc. On Monday, the battalion started from camp about 6.20 a.m., and marched to their first assembly position. Our attack did not start until 3 in the afternoon. The battalion went through the objectives gained by other divisions. The attack went off just as we had practised it - No.11 platoon leading and directing. They kicked their football right into the Redoubt, advanced over it and started consolidating. He made his barricade. One of his Lewis gunners was firing at some retreating Germans, but that was not enough for him. 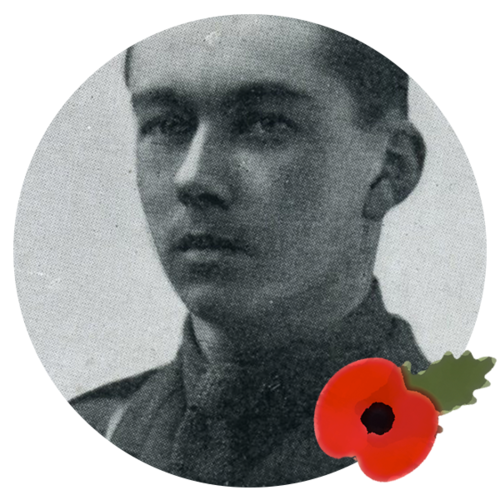 He seized the Lewis gun and started firing it himself, when he was shot through the heart by a German sniper. It must have been quite instantaneous. He died having done his job and done it splendidly, and you can well be proud of him. He is a very great loss to the battalion, and the company won't be the same without him. He was always so immensely cheery and keen and we were all so fond of him. All his men loved him, and on the night before the attack, when I was going round wishing them all good luck, many of them told me that would follow him anywhere." This was a series of offensives by the British Army between 9th April 1917 and 16th May 1917. It had been planned in conjunction with the French who would attack in Artois and between them the Allies would force the Germans out of the large salient they had held since the line of trenches was first established. But the Germans had spoiled this plan by falling back to the new and very strong Hindenburg Line in January 1917 and the salient no longer existed. For the want of an alternative plan the attack went ahead anyway. It all started well for the British who made substantial gains on the first two days but then the offensive ground to a halt and by the end British losses amounted to over 150,000. On 9th April 1917, 4th Division attacked the German line between Fampoux and Gavrelle. Other divisions had made the initial assault and it was the task of 4th Division to pass through them and attack the 4th German trench system. 1st Somerset and 1st Hampshire led 11Brigade’s advance with 1st East Lancashires in support. The role of 1st Rifle Bigade was to pass through to capture and consolidate Hyderabad Redoubt. As they came over the ridge in front of this they met the German artillery barrage but it was not a heavy nor sustained shelling and very few casualties were incurred at this stage. However the German wire, 40 feet deep in places was still intact. The British barrage had completely failed to cut it. Luckily for the advancing 1st Rifle Brigade the Germans were demoralised and were more eager to give themselves up than fight. Corporal Bancroft kicked a football forward and the Redoubt was rushed and taken. But by now fresh German troops had been brought up and those troops still out in the open, such as patrols, outposts and consolidating parties came under heavy fire. All troops were hurriedly withdrawn into the Redoubt where they fought off a number of German counter attacks until they were relieved the next day. 4. Max TEGLIO, 2nd Lieutenant, Devonshire Regiment, attached to Worcestershire Regiment. Died Iraq, 11 April, 1917. Buried at Baghdad North Gate Cemetery. Cousin to my grandfather, Giulio Cesare Schiff. Mother of my grandmother, Caterina Schiff. 6. I omitted a member of the family who was killed fighting on the German side: Hermann Waechter, the first husband of Marie Schiff, daughter of Alfred Schiff. She was second cousin to my grandfathers father.